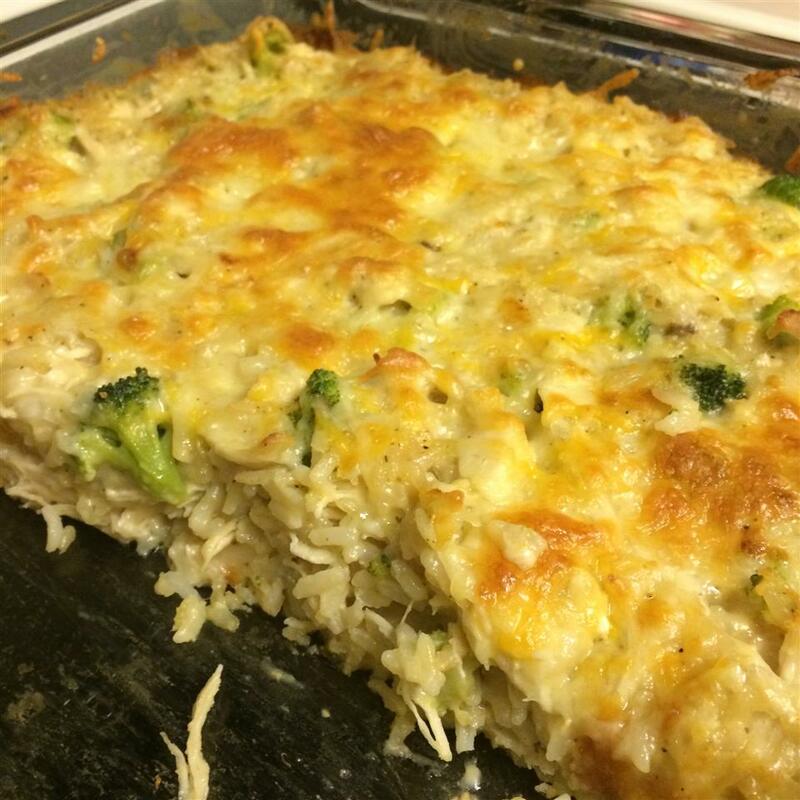 This is a delicious twist to broccoli, rice, and cheese casserole, and is VERY easy to make. You can also cut this in half. I use the 1 can cream of mushroom soup when I make half. You can also leave out the onion. 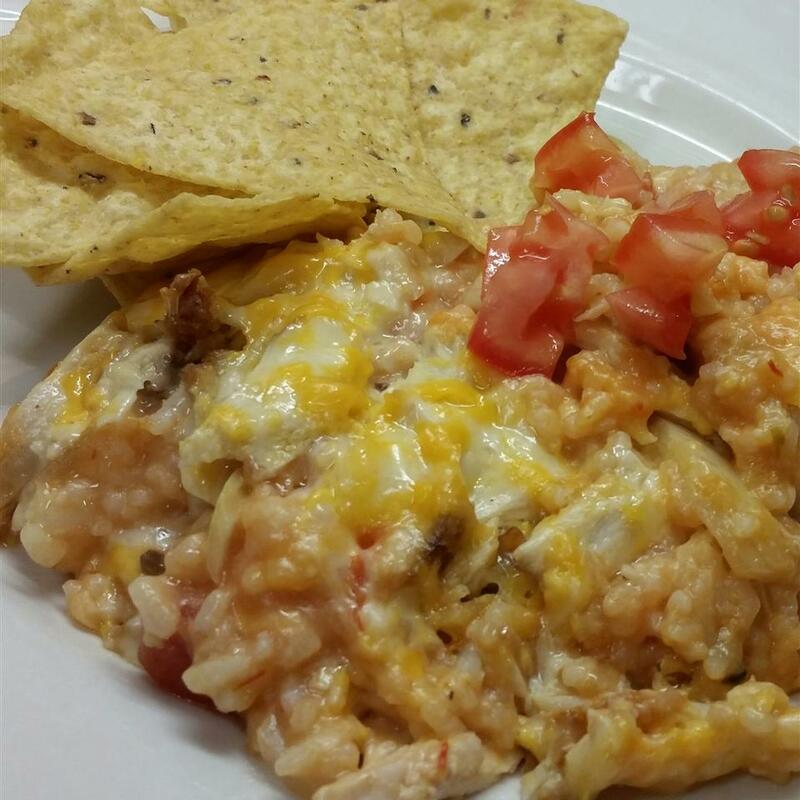 It just gives it a little added flavor, but is still very good without it. 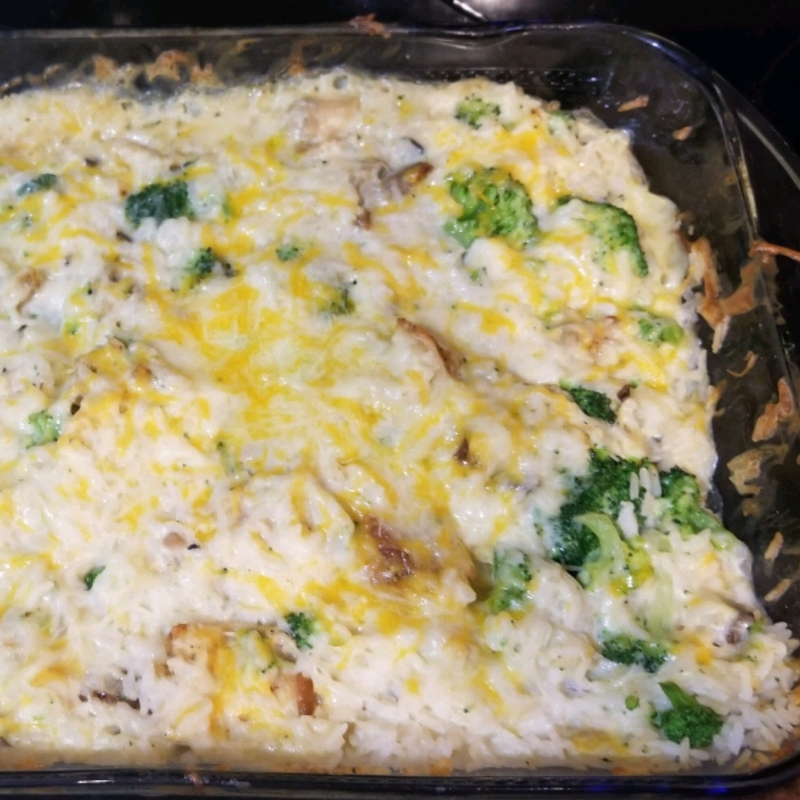 In a 9x13 inch baking dish, mix the prepared rice, chicken, cream of mushroom soup, cream of chicken soup, butter, milk, broccoli, onion, and processed cheese. Simple and Delicious. 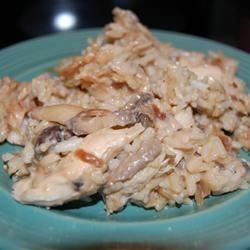 I did make the following changes from the recipe: Rice - Do not use instant and cook in chicken broth before putting all ingredients together. 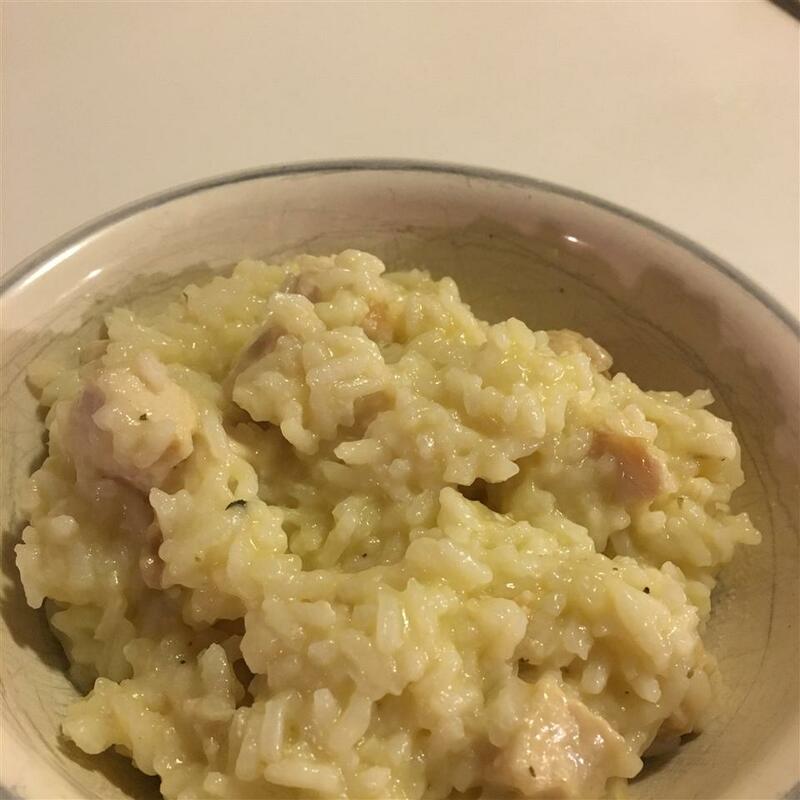 (2 cups of chicken broth for every cup of dry rice) Chicken - Instead of canned I used the breast meat from a rotisserie by simply pulling it off the bone. 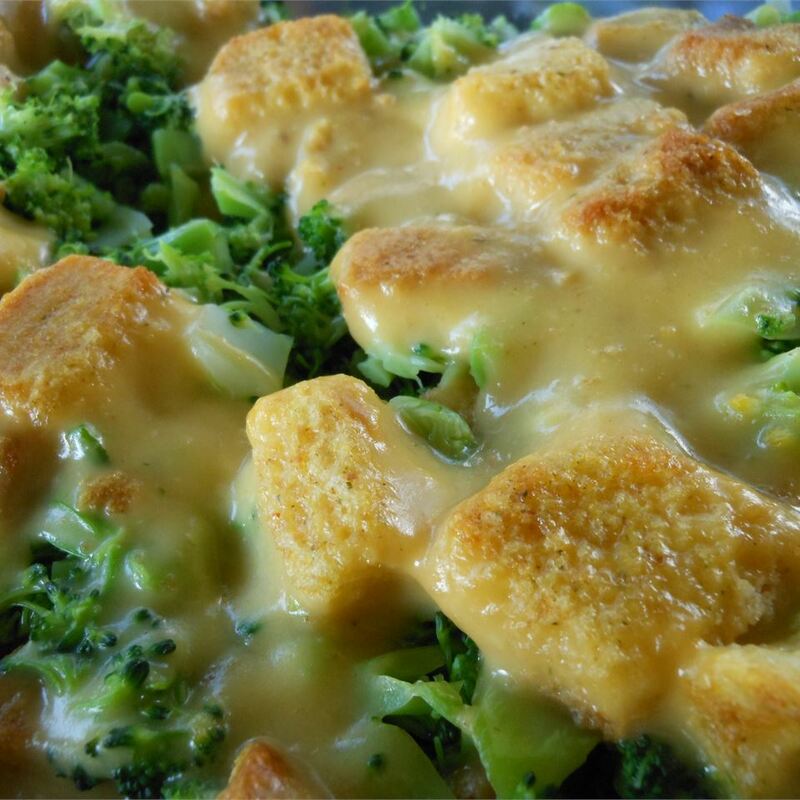 Broccoli - I used fresh broccoli chopped it and steamed until tender. 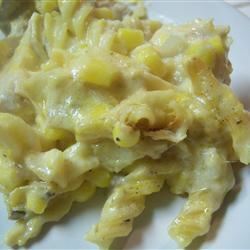 Cheese - I used half shredded cheddar and half crumbled Velveeta. Then mix all ingredients together and add salt pepper and garlic salt (I used Lowry&apos;s) to taste. 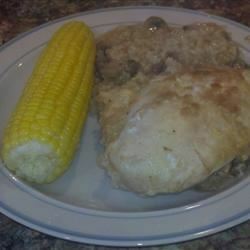 This dish turned out no where near bland! TIP: Don&apos;t skip the onion. It adds just the right amount of flavor! With some help this is a winner. 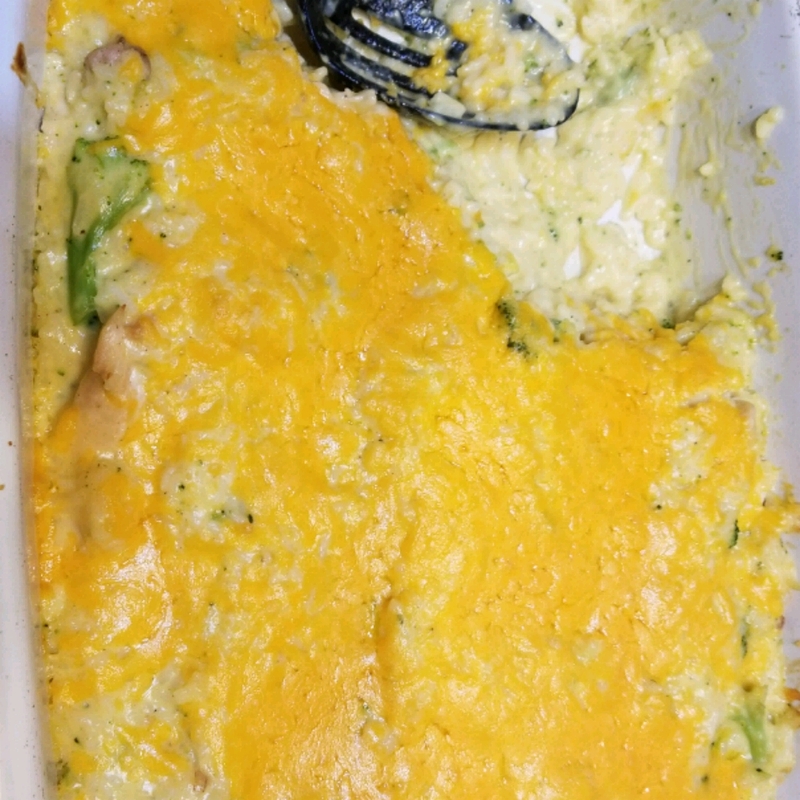 A pound of processed cheese is enough to overwhelm any meal and the canned chunk chicken is not so good either. 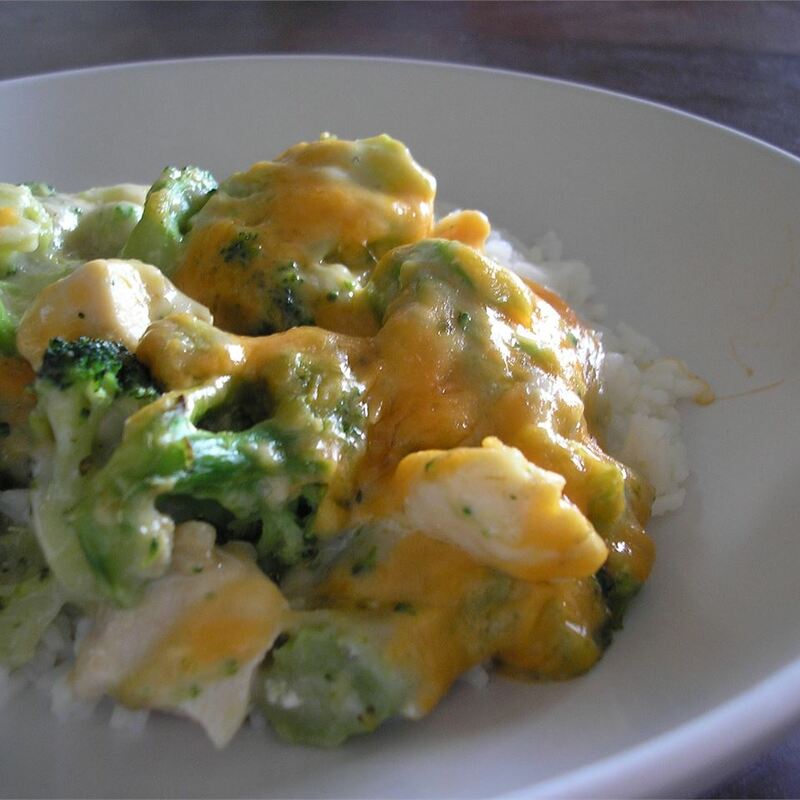 Here&apos;s how we make it: Bake 3 boneless skinless chicken breasts and shred. 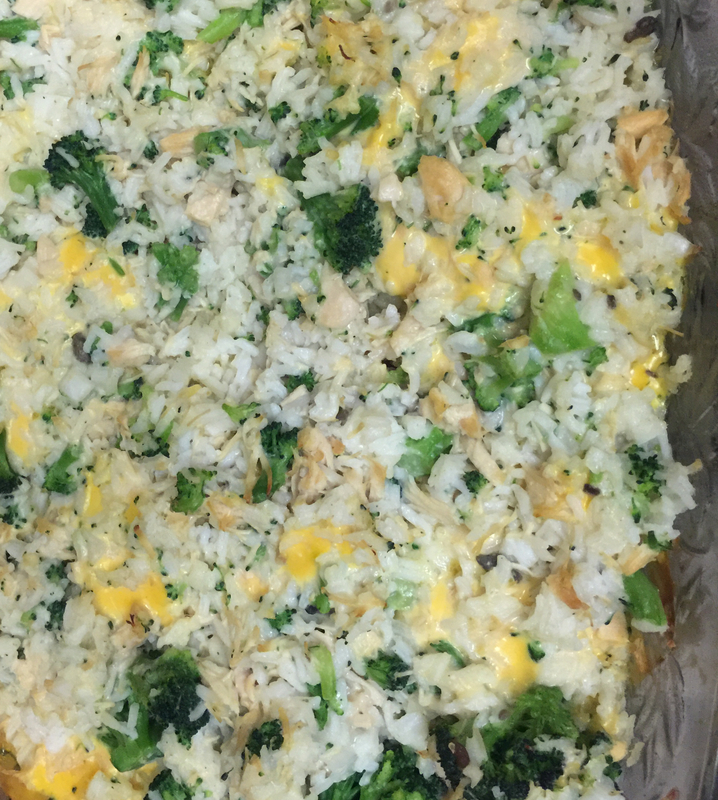 Make rice in our rice cooker just like always then scoop 2/3 of the cooked rice into the 9 X 13 pan with the chicken. (Our rice cooker calls for 3 cups uncooked to be used so we save the rest of the rice to make rice pudding so nothing goes to waste. It&apos;s also cheaper than instant rice) Then I take 16 oz of whatever cheese I have in the house and shred it. 1/2 Jack and 1/2 cheddar work great. 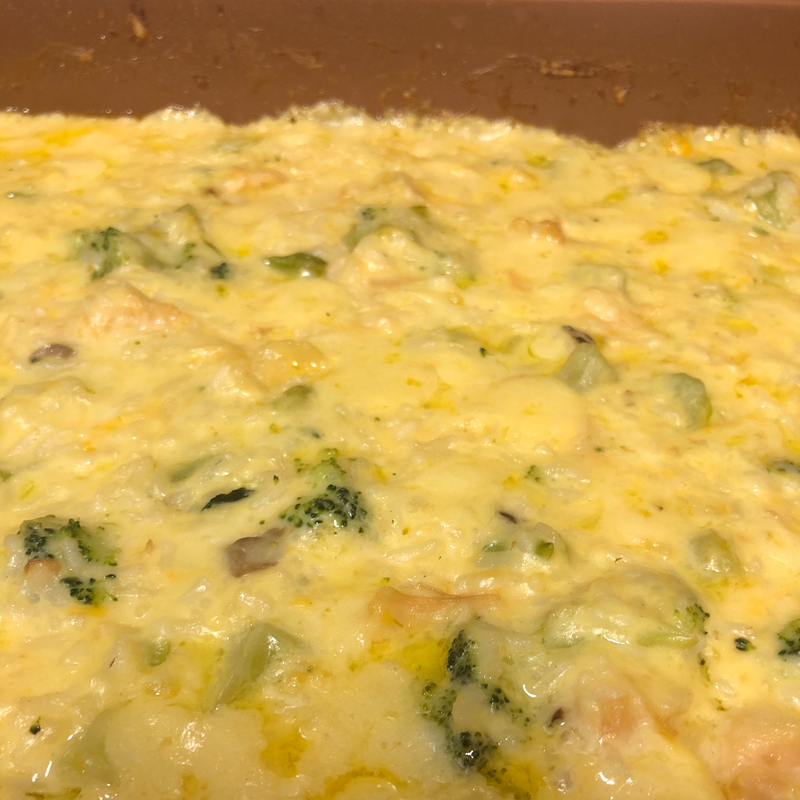 Add a packet of onion soup mix INSTEAD of chopping onions then 2 cans of whatever condensed creamy soups you like (we use 1 chicken and 1 brocoli) a cup of milk the butter and a bag of frozen brocoli. Then we top with sliced provolone cheese which we always have in the house anyway and bake as per instructions. 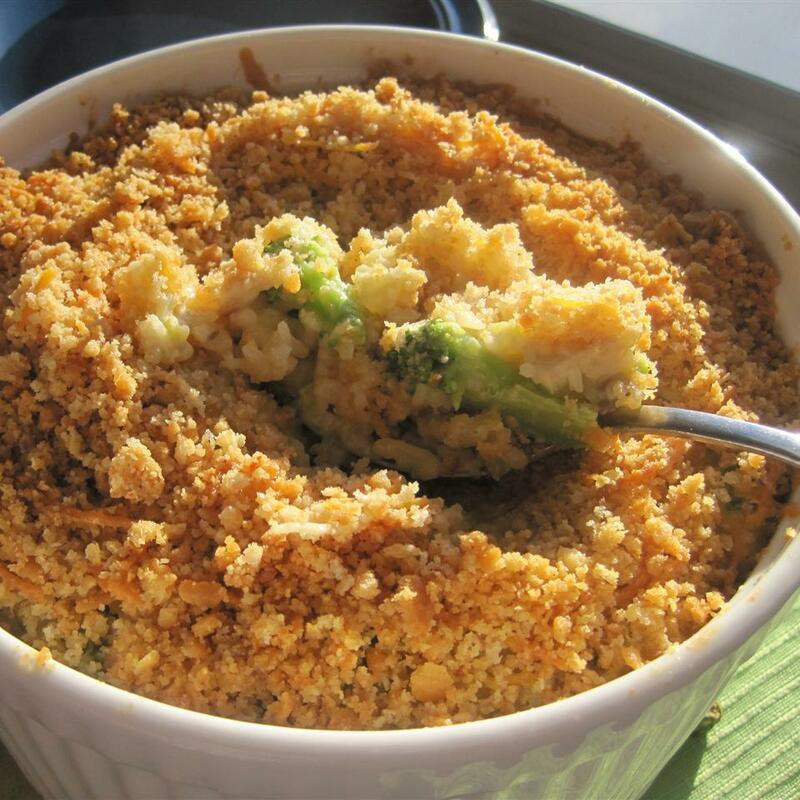 Between the soups cheeses and dry soup mix no additional salt or pepper is necessary. 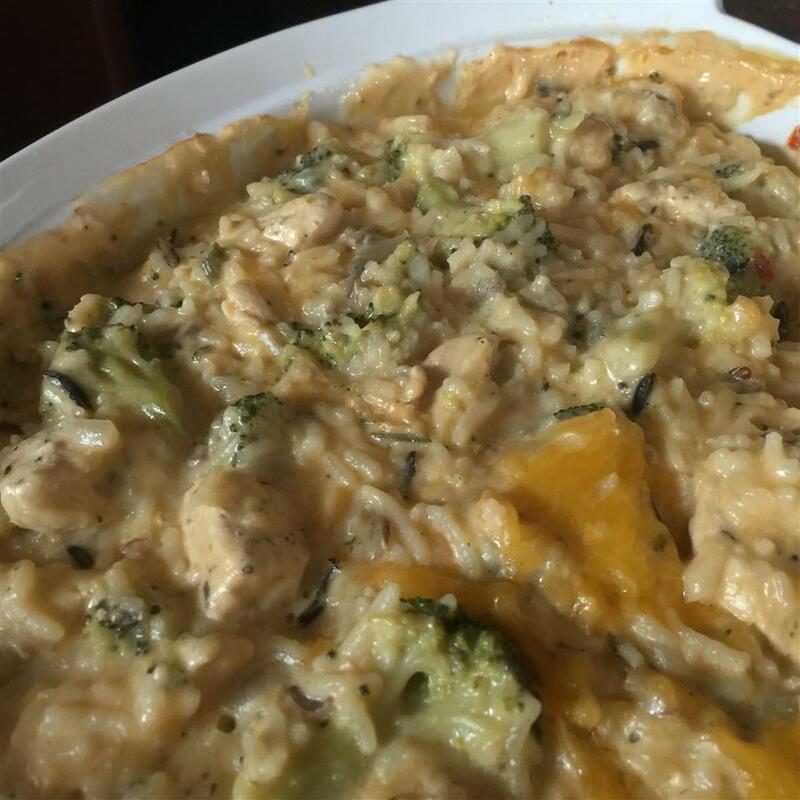 My husband and I love this recipe although I did adapt it to use fresh broccoli 8 oz each finely shredded cheddar and mozzarella and half of a rotisserie roasted chicken. 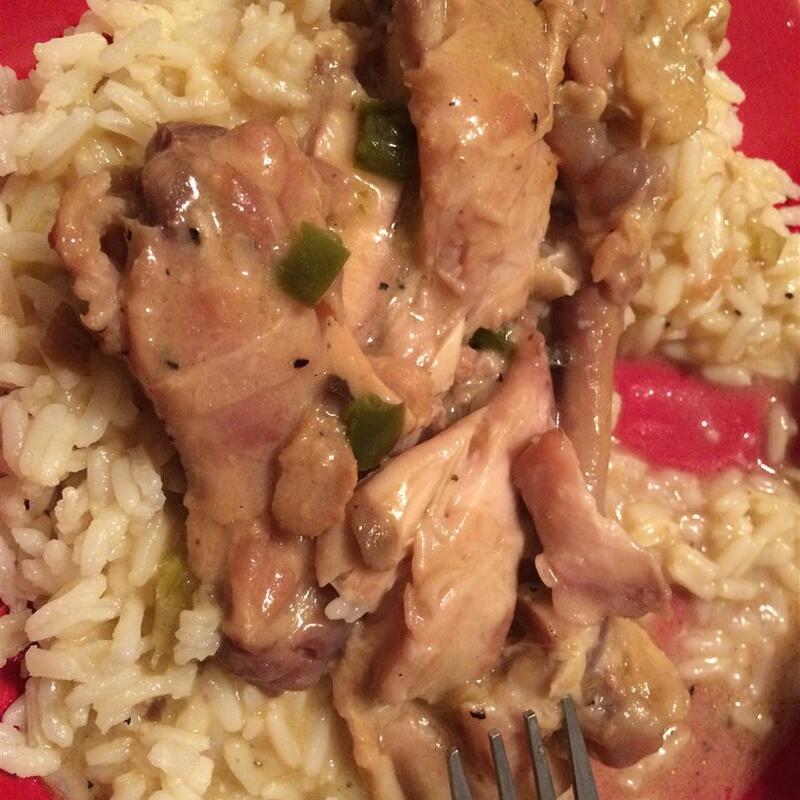 I have made it several times and it is one leftover that is gladly eaten. It really does freeze well. 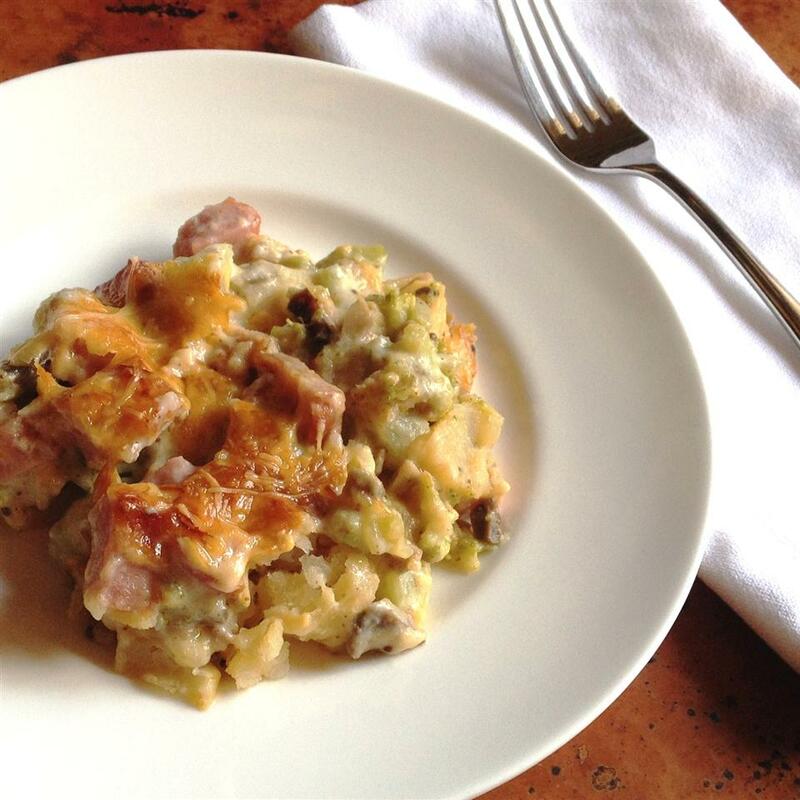 I make several small casseroles at a time. 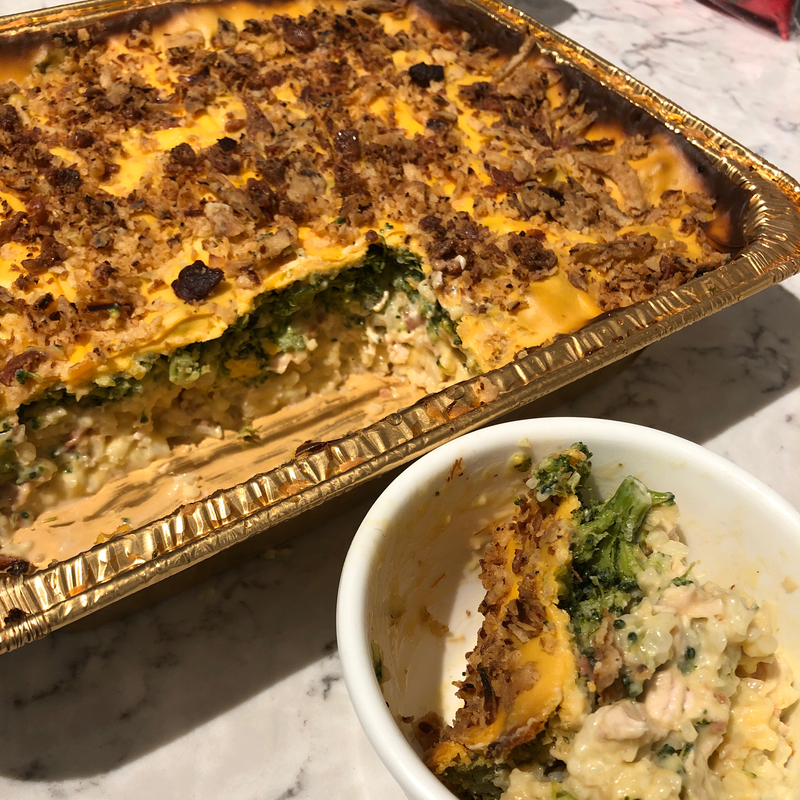 5 Stars because it is super easy super quick super yummy and all 4 kids LOVED it even my green-aversion kid who doesn&apos;t eat veggies. To make it even faster and easier I used a rotisserie chicken from my grocery store and just pulled that off the bone did not pre-cook the rice (instead put it in the casserole dry and added one can of low-sodium chicken broth to the mix) and used 1 package of shredded velveeta and 1 package of shredded sharp cheddar. A few grinds of the pepper mill a loaf of garlic bread and a tossed salad...dinner was complete. Great meal for a busy mom. Thanks for sharing. 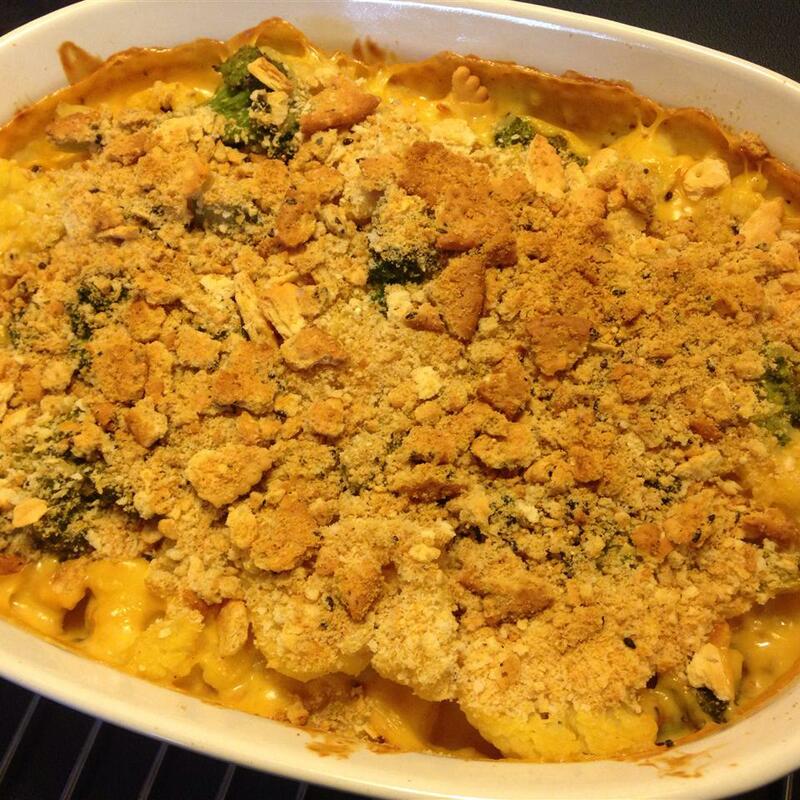 This recipe was good but needed a little adjusting. 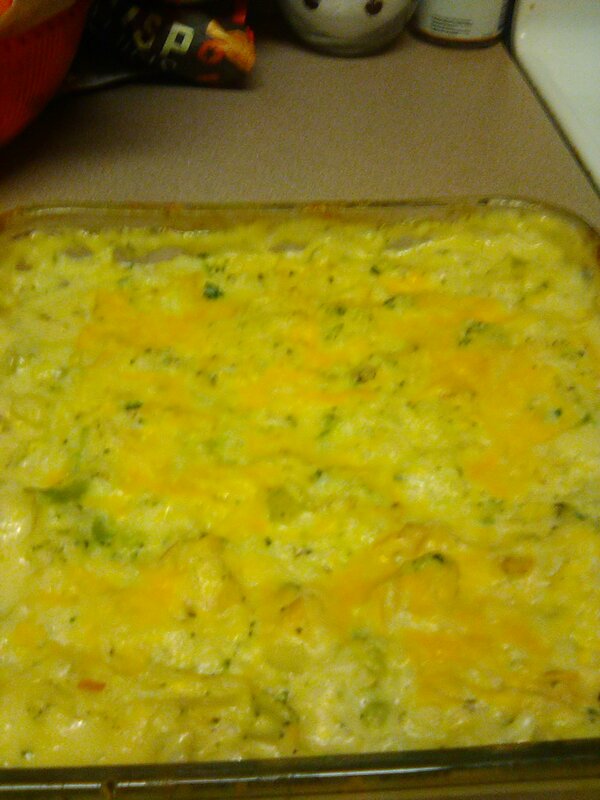 I decided to put a little less cheese and some more chicken because it was a bit too cheesy. 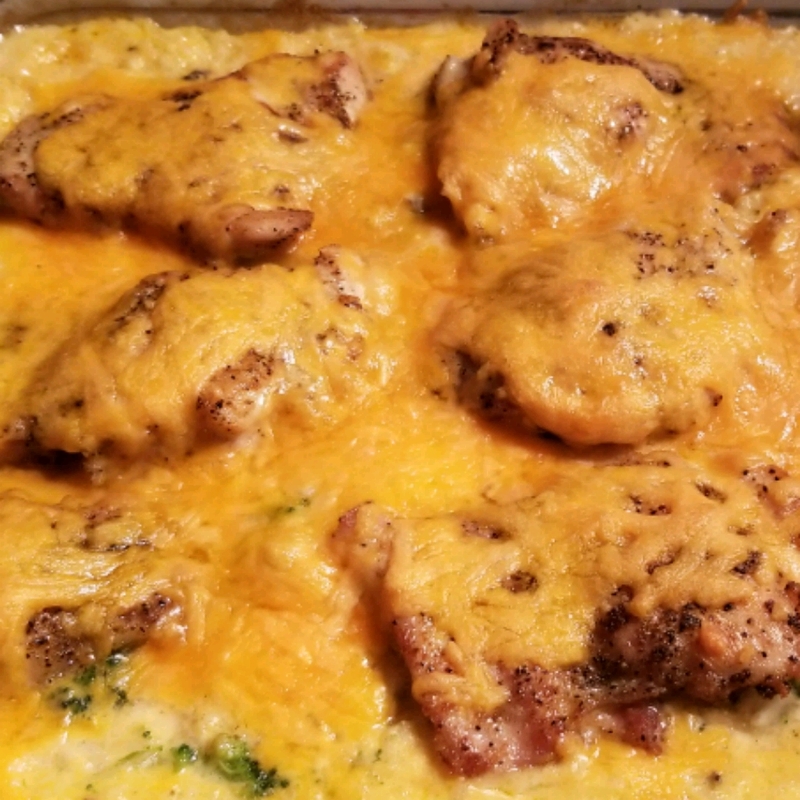 One of my guests said "You may get a bite of chicken or rice but it all tastes like cheese" After the adjustments it was wonderful and simple to make. Quick and easy!!! These changes made it absolutely perfect: Half an onion clove of garlic and 3 chicken breasts cooked in a frying pan on low heat. 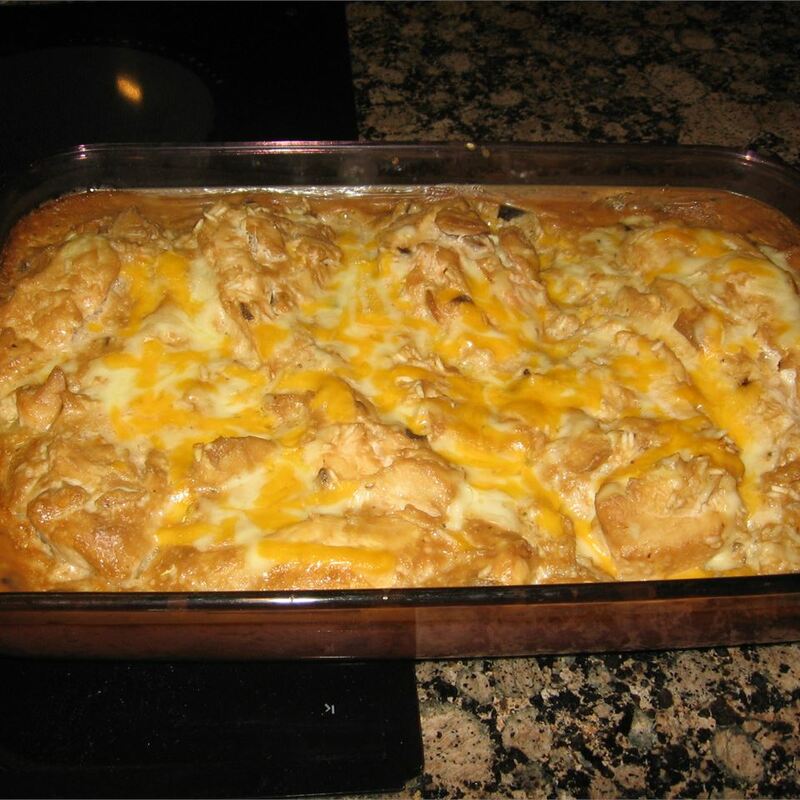 When chicken was cooked i cut it up and dumped the whole frying pan onions garlic and all into the casserole dish. 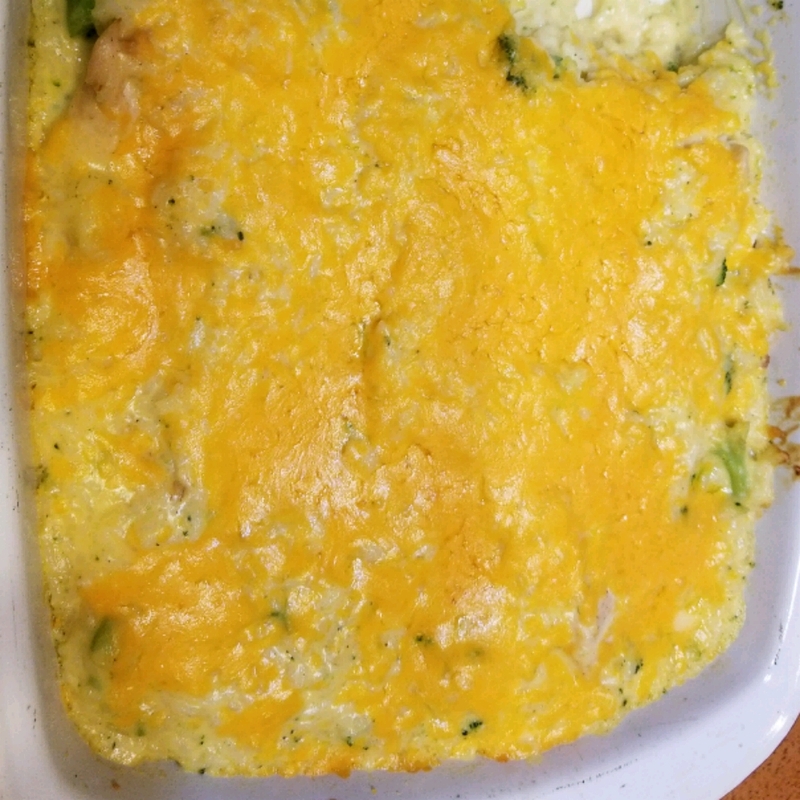 Used 1 cup grated cheddar cheese 1 can cream of Chicken and 1 can Cream of Broccoli and Cheese which is why I used less grated. 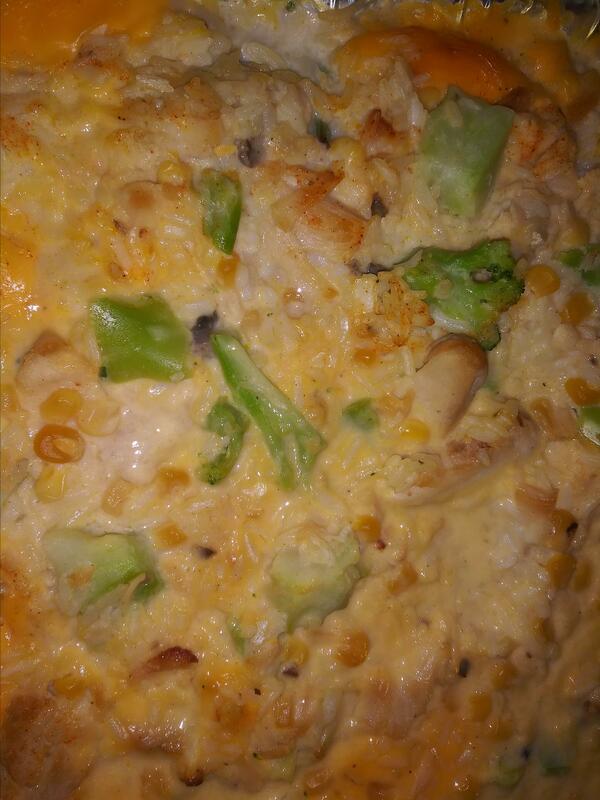 Half cup milk half cup sour cream lots of pepper a bit of salt a few shots of hot sauce (we love it) 3 cups rice and 4 cups steamed fresh broccoli. Cooked for 30 mins on 350 pulled out and crumbled Ritz crackers over top (the cheddar ones) And cooked for another 10 mins. FABULOUS! Thank you!! Excellent. My husband LOVED this and asked me to put it in our regular dinner rotation. I increased the rice to 3 cups since I found 2 cups to be too soupy. 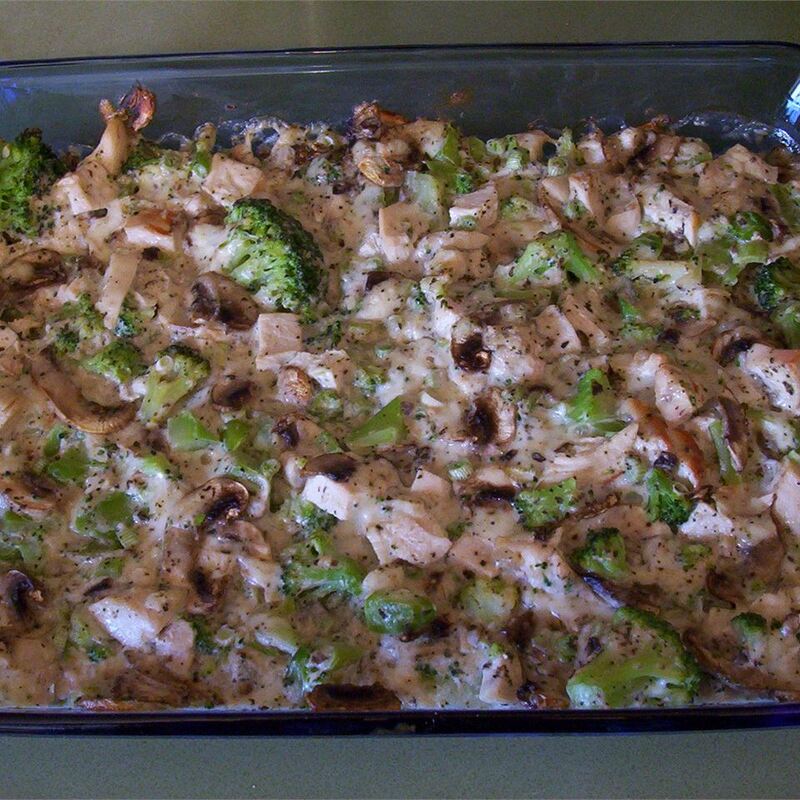 I also used 4 chicken breasts instead of canned and 22 ounces of broccoli. 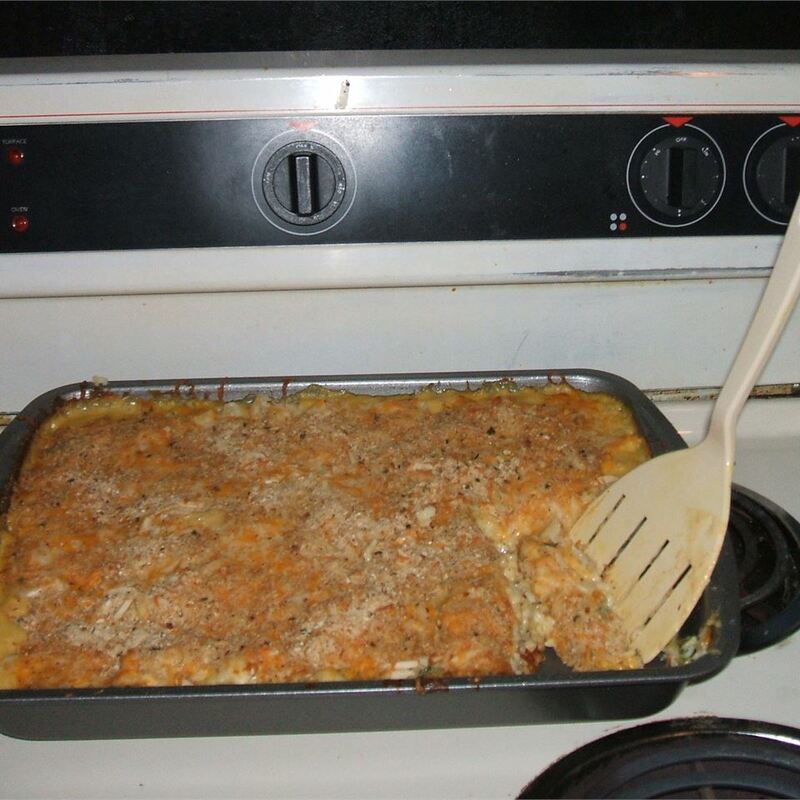 Omitted the onion since we neither one like onion but did add onion powder since we like the flavor. Pretty good meal. 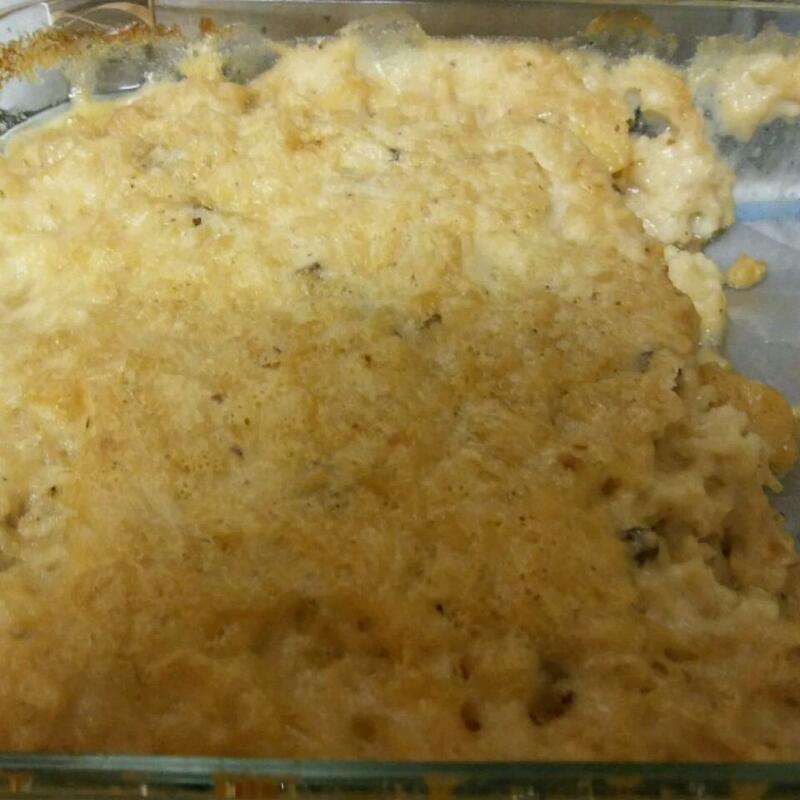 Due to the "soupy" complaints I added an extra cup cooked rice and instead of raw onions I took the advice of adding a packet of onion soup mix. Good mix of flavors and very filling. Would make again. 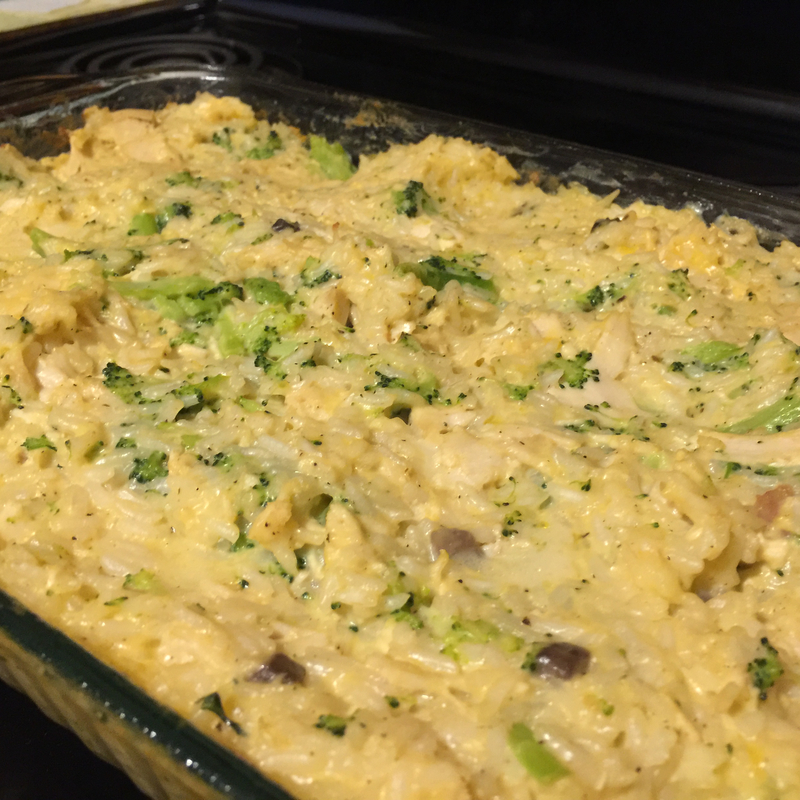 This recipe was delicious and extremely easy! 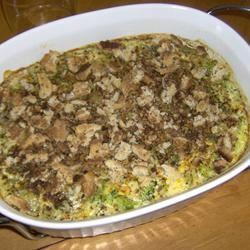 If you re in a hurry this is the casserole for you. I did however make some changes. I used 2 cups of shredded cheddar instead of processed cheese. 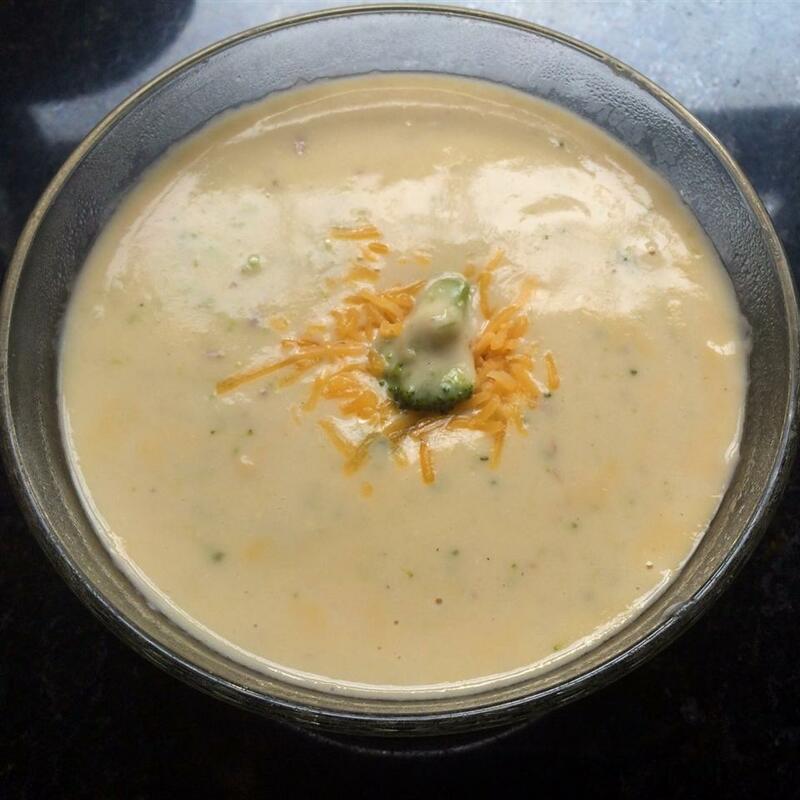 I also used cream of broccoli and cream of chicken soup. Curry powder black pepper & paprika added a kick and I baked it for an additional 15 minutes to heat it all the way through. 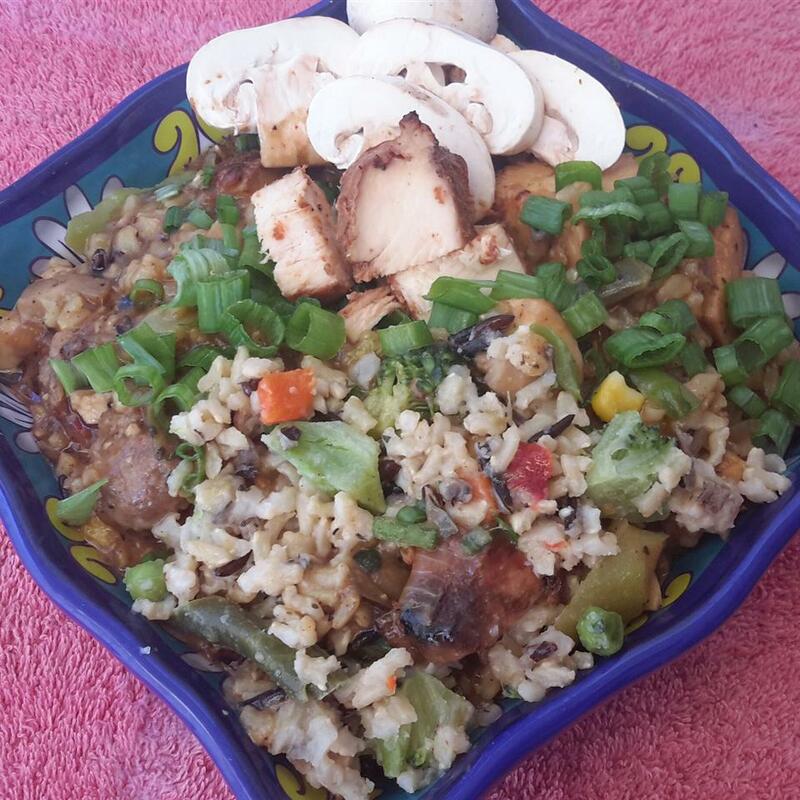 My husband loved it and we had plenty of leftovers!